Did you know the variety of electric personal transportation devices has expanded? Thanks to the improvements in battery technology in the last couple of years, we can choose from various types of battery-driven means of transportation. Electric scooters is a convenient and inexpensive way to get around. These electric scooters have handlebars and handbrakes to help you keep your balance. There are also foldable models too, which is great for easy storage at the workplace or in public transportation. These electric scooters have small wheels that are useful on flat surfaces such as tarmac, skate parks, and regular pavements. There are also off-road models with bigger wheels too. Electric skateboards give you the power to travel as fast as traffic, speed up hills, and brake gently down. These electric skateboards are typically longboards and self-powered, which makes them easier to zip down the street compared to a normal skateboard. There are also electric skateboard conversion kits too that allows you to convert your current skateboard. Electric bikes are fast. You can travel faster than the speed most people would ride their bicycles. 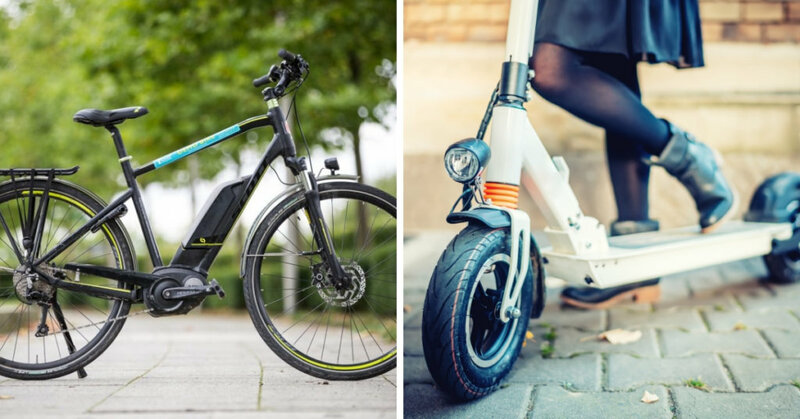 These electric bikes are a great way to get around because it makes pedaling easier. You won’t have to arrive all sweaty and gasping for air at work. They also have increased ranged to allow you to leave your car at home too. You can visit Kanis Powersports if you’re interested in purchasing an electric bike. In addition, they also have ATVs for sale, dirt bikes, hover boards, and dune buggys. Electric unicycles are also known as the self balancing unicycle. These electric unicycles allows you to control the speed by leaning forwards or backwards. You can also steer right or left by twisting the electric unicycle using your feet. These electric unicycles have large wheels that allow for riding dirt, lawns, gravel roads, and taking curbs and potholes. Electric moped scooters allow you to take a bit of luggage such as groceries with you. These electric moped scooters also allow you to take a passenger with you, which isn’t possible on electric scooters, electric skateboards, or electric unicycles.